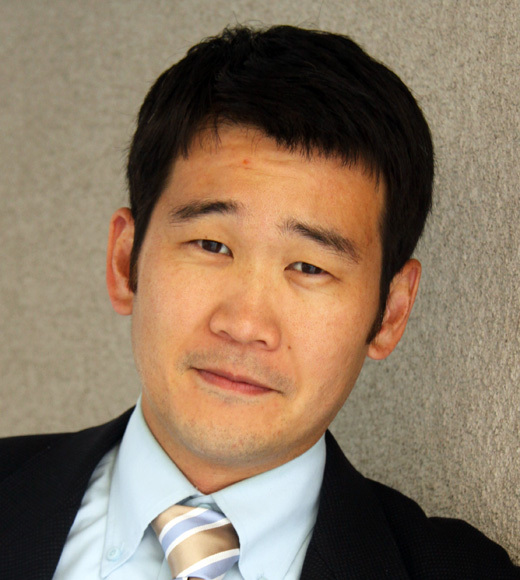 UC Irvine law professor and admissions committee member David Min spoke with SocratesPost about interviewing candidates on behalf of his alma mater UPenn, an Ivy League university in Philadelphia, Pennsylvania. Dave has a widely varied career, including a run for Congress in 2016. Dave graduated from University of Pennsylvania’s Wharton School of Business and School of Arts and Sciences before earning his J.D. from Harvard Law School. As a nationally recognized expert on financial markets regulation, he specializes in capital markets, law and policy of banking, and real estate finance. Today, he shares what UPenn looks for in prospective students. Dave at Penn: “Most of the kids I interviewed were from University High School or Woodbridge High School in Irvine, which are very competitive schools, which means I’m probably getting like a pretty high degree of a student. But everybody that I interviewed had tremendous accomplishments, right? High GPA, lots of extracurriculars. Given that right now, everybody knows that you’re supposed to do extracurriculars, if you’re not an athlete, you’re supposed to take part in different pursuits and hobbies to show you’re well-rounded and not just about grades and test scores. Stay tuned for the remainder of SocratesPost’s interview with Dave next week! Hey Ahmed! This is an important question, especially for international applicants like yourself. Though the answer may seem simple, it comes with a bit of nuance. There are generally four main times during the year that you will hear about your acceptance, depending on when you applied. Each college will be different and each round of admissions will be different. There are a few ways to figure this out. Read the application deadlines webpage of your selected colleges very clearly. American colleges make these deadlines and response times very clear for applicants so you know exactly when to submit all application materials for consideration. Though they usually don’t give you a specific date on which you will hear back, they will typically give you an approximate range. Here’s an example of where you can find admissions decisions on school websites. When you hear back will also depend on the admission round you’ve selected. 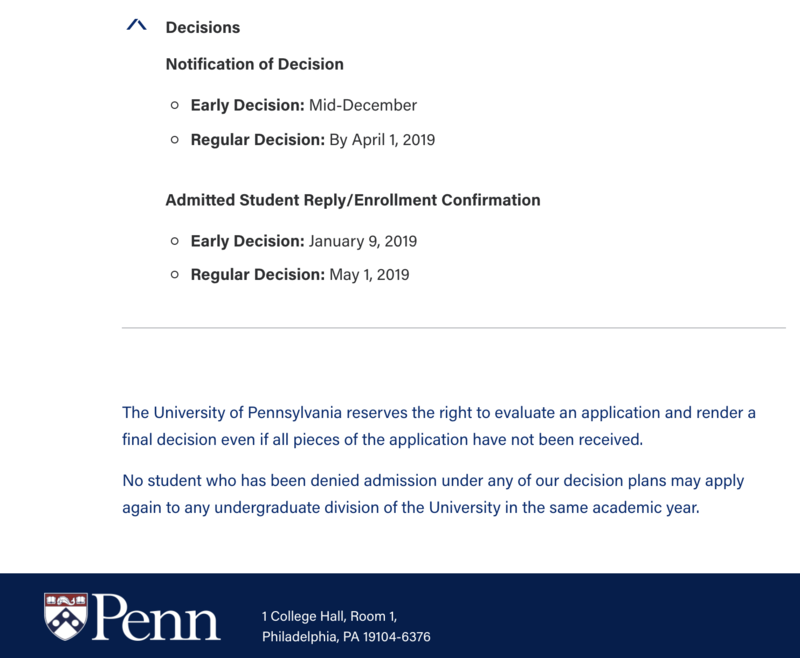 The most popular are Regular Decision, Early Decision, Early Action, Restricted Early Action, Early Decision II, and Rolling Admissions. 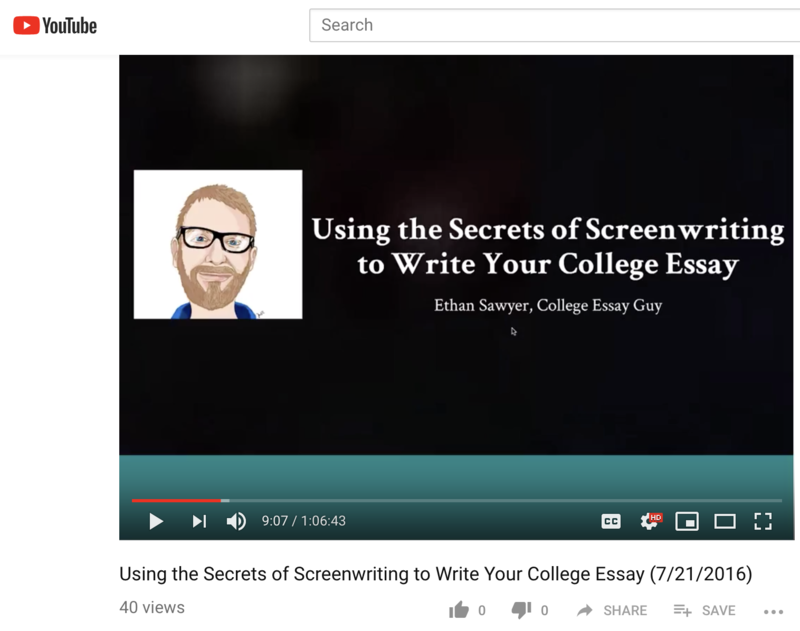 The College Essay Guy conducted a webinar for aspiring independent educational consultants, teaching them how to guide their students through the college essay writing process — using the secrets of screenwriting. We thought of it as an essay “hack” and got you The Skinny. We selected this for our subscribers going through the essay writing process (or planning on undergoing it in the near future). There’s nothing more frustrating than staring at a blank piece of paper (or blank Word doc) for hours thinking there’s nothing special about yourself! We’ve been there and hope this gives you at least writing some ideas. SocratesPost evaluated the hour-long lecture and grabbed the key points for you. Pros: A fresh angle with a step-by-step process to approach the daunting task of writing about oneself. Feels like an essay “hack.” Great examples. Cons: Fast-paced, but still quite a few pockets of silence due to workshopping.